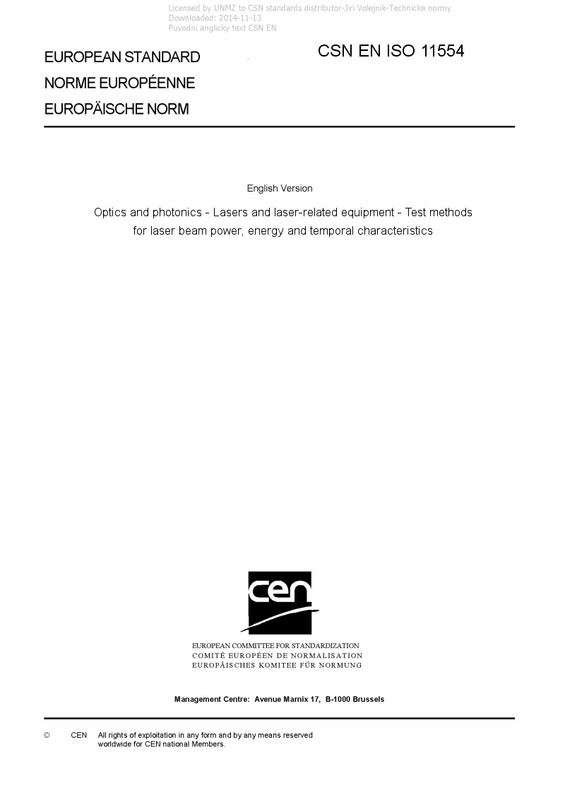 EN ISO 11554 Optics and photonics - Lasers and laser-related equipment - Test methods for laser beam power, energy and temporal characteristics - ISO 11554:2017 specifies test methods for determining the power and energy of continuous wave and pulsed laser beams, as well as their temporal characteristics of pulse shape, pulse duration and pulse repetition rate. Test and evaluation methods are also given for the power stability of cw-lasers, energy stability of pulsed lasers and pulse duration stability. The test methods given in this document are used for the testing and characterization of lasers.